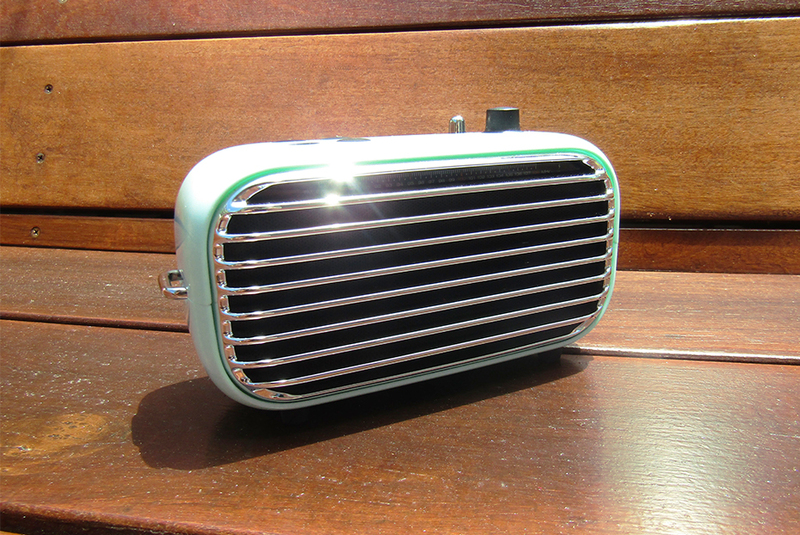 We're all about modern tech dressed up in a shiny retro package, and Lofree's new Poison speaker is just that. Clearly it's cute, but does this gadget get the job done? The speaker's Kickstarter page launched today, but we got the chance to test it out early to see what it's really capable of doing. The speaker has three different modes. In the aux mode, you can use the included auxiliary cord to plug in any devices with a headphone jack for the easiest access to your music. Setting up the Bluetooth isn't too complicated, either. When this second mode is activated, you simply need to press the dedicated Bluetooth button for a moment until the light on top of the speaker blinks, then select the Poison speaker on your device to sync the two. Lastly, the speaker has a built-in FM radio, in case you ever want to tune in. Just turn the dial, just like on a classic radio, to get to your desired station. We played many different genres of music (and a movie trailer or two) through this speaker and every one rang loud and clear. It definitely packs a sonic punch, particularly for bass-heavy tracks. 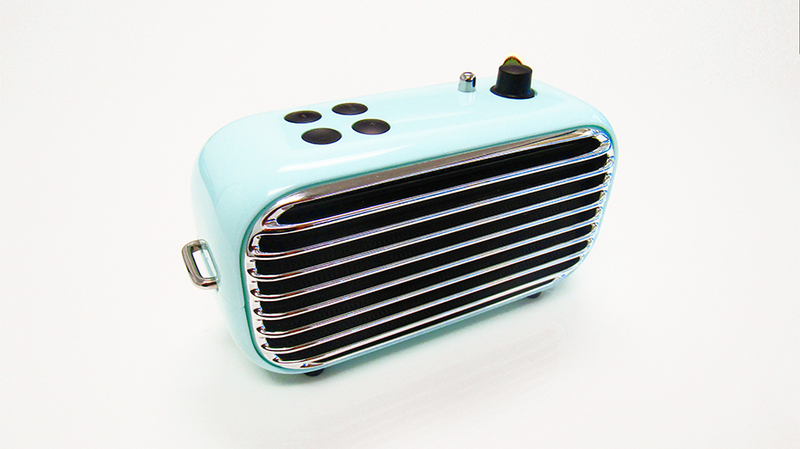 The unique design of the speaker's back makes these low-frequency sounds feel just right. 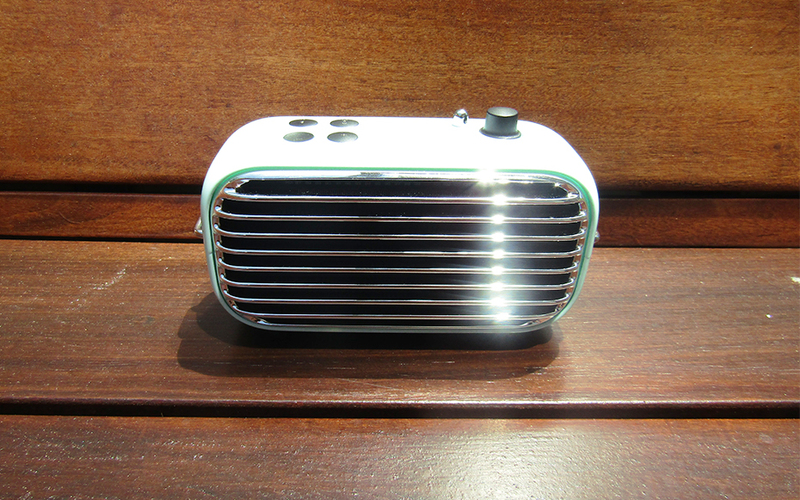 And we've got to love that it's a modern take on an old school radio. It's got a retro aesthetic, but its Bluetooth capabilities make it anything but outdated. In addition to this turquoise blue version, it also comes in white, red and olive green. Like most other devices, it charges via a micro USB cable. We'd guess that we got about five hours of music at a decently loud level from one charge. It's also pretty sizeable at about 6.5 inches wide, 3.5 inches tall and 2.5 inches deep. Depending on where you're going, this might be just a bit bigger than your typical portable speaker, but the huge sound is worth it. The speaker also comes with a leather carrying strap, though we haven't quite figured out how to attach it to the metal rings on the side since the strap's metal studs seem too wide to slip through them. Overall, we're thoroughly impressed with this speaker. It sounds great and looks even better. If you want one of your own, check out their Kickstarter here. 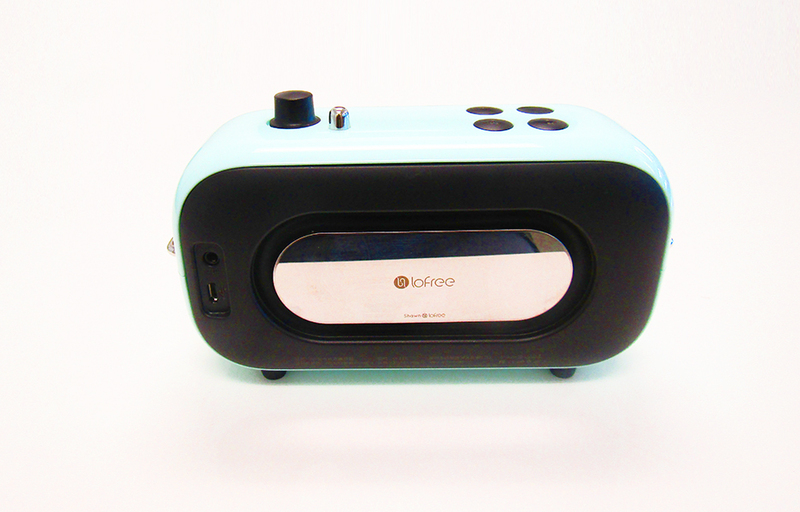 And if you love the look of the Poison speaker, click HERE to see Lofree's adorable mechanical keyboards.